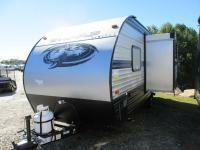 Pack up your family of four, and easily hook up this travel trailer for a camping trip you won't forget. 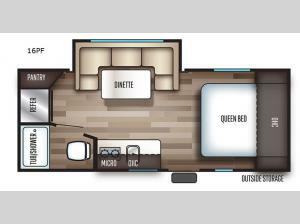 After a day of hiking, relax on the front queen bed, and fold down the U-shaped dinette for the little ones to sleep on. 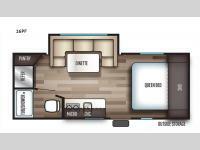 This unit includes a two burner cooktop, a refrigerator, and a pantry for snacks. You'll enjoy the rear corner bath that includes a tub for the kids' bath time. 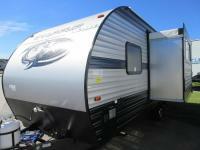 Leave nothing behind with overhead storage in this model, and outside storage for the lawn chairs. 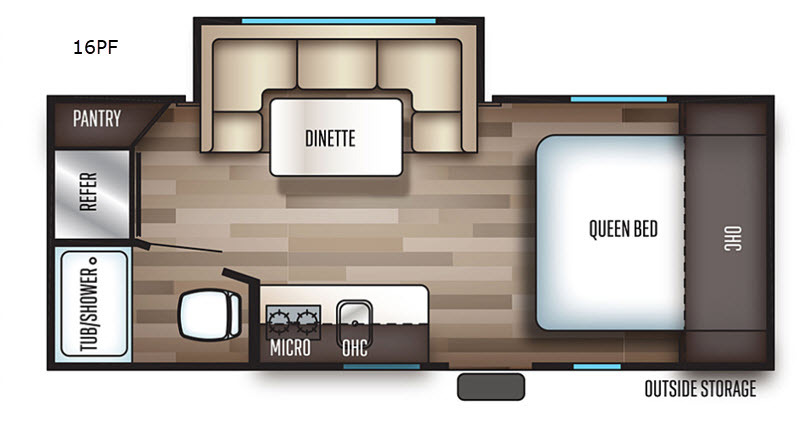 This travel trailer also features a slide out for added interior space!